Every child and young adult in Orange County who needs behavioral health treatment should receive high quality services without stigma or barriers to access. 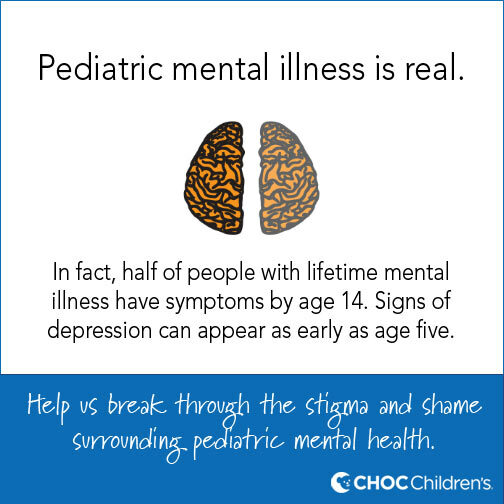 One out of five children suffers from a mental health condition. That’s more than 150,000 children in Orange County alone. Chances are someone you know, or even someone in your family, is affected. The stories of courageous children battling cancer, diabetes and asthma are familiar, yet mental illness is a crisis shrouded in social stigma, misconceptions and shame. The lack of services is prevalent nationwide. The number of inpatient psychiatric beds in California has declined over the last 15 years. Our state’s bed-per-capita ratio is much lower than the nation’s. 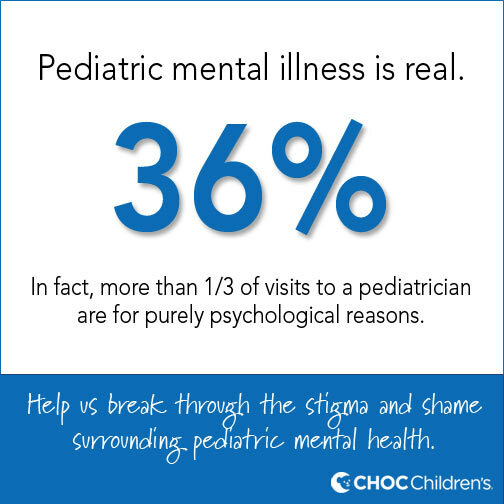 Half of children with symptoms of mental health disorders have conditions that cause significant impairment in daily life. In Orange County, 20 percent of youth reported needing help for mental health problems, while less than a third actually received that help. 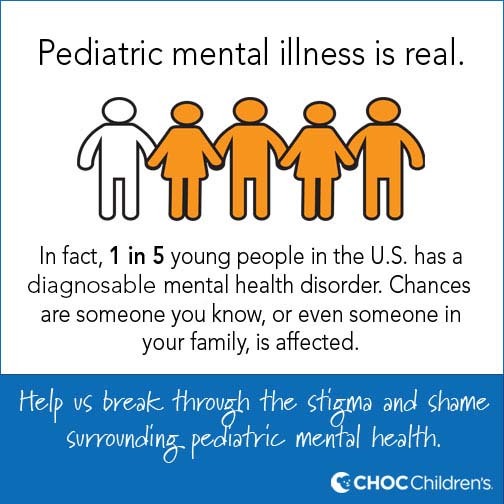 CHOC Children’s has made the commitment to take a leadership role in meeting the need for more mental health services in Orange County. As a non-profit hospital, we are counting on your support to help us change the lives of children both locally and nationally. Our vision is ambitious, but achievable with your help.